Deep State: What Was This High-Level Meeting With Intel Officials That Occurred After The 2016 Election? Deep State? What Was This High-Level Meeting With Intel Officials That Occurred After The 2016 Election? Around December of 2016, there was a high-level meeting among U.S. intelligence officials. New texts between former Deputy FBI Director Andrew McCabe and counterintelligence agent Peter Strzok point that out. Both men have since been fired from the FBI. Strzok was made famous for his extramarital affair with bureau lawyer Lisa Page. The two exchanged tens of thousands of texts, the vast majority of which were anti-Trump. It rattled the FBI and struck at the independence and credibility that have been a hallmark characteristic of this agency. Strzok signed off on the FBI probe into Russian collusion. He was also involved in the Hillary Clinton email probe. On this investigation, Strzok and Page worried that the bureau was going too hard on Hillary. When Special Counsel Robert Mueller, who had taken over the Russia collusion probe in May of 2017, discovered Strzok’s texts, he was reassigned to human resources. Page eventually resigned from the FBI. The two have been at the center of the controversy concerning the DOJ/FBI and the 2016 election. The Obama DOJ reportedly ordered the FBI not to charge Hillary with mishandling classified information. Oh yes, there have been allegations of election meddling, but not from the Kremlin. That call was coming from inside the house, but back to this meeting. Within a minute, McCabe replied, "OK."
It is unclear whether the dinner meeting concerned the investigation and suspicions about Russians' contacts with Trump advisers including incoming national security adviser Michael Flynn. But two government sources told Fox News it was “irregular” for Clapper to be in direct contact with Strzok, who was at a much more junior level. It is not clear from the text if Strzok also attended the dinner. 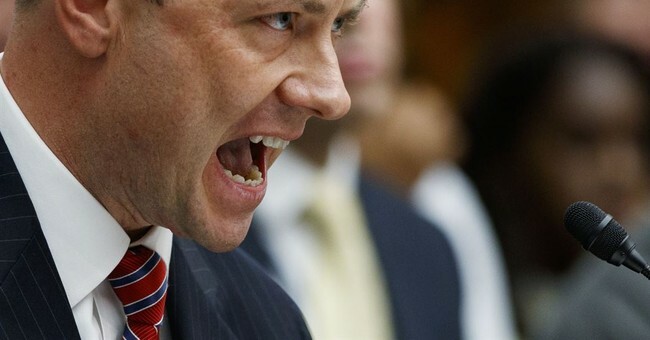 A lawyer for Strzok declined to comment, but did not dispute the text referred to Strzok. However, the December 2016 meeting that was apparently shared with Strzok – as documented in the text – came during a critical period for the Russia probe. Donald Trump had scored a stunning upset victory a month earlier; Flynn, around this time, was having conversations with Russia’s U.S. ambassador that caught the attention of the feds; the FBI had recently started surveillance on Trump adviser Carter Page; The New York Times was about to publish a lengthy report on Russia’s U.S. election interference; and then-FBI Director James Comey and others would soon brief Trump on allegations against him in the so-called Steele dossier. This very well could not as ominous as it would suggest, but seldom in the combing of the FBI’s 2016 personnel have there been bright spots. There have been allegations that a collection of unelected bureaucrats have been working to hamstring the Trump administration and that suspicion was confirmed when it was revealed that top DOJ officials had discussed using the 25thAmendment to remove Trump from office. This is coup talk, folks. This is arguably treason. So, please excuse my uneasiness about another meeting with top intelligence officials who were apparently in contact with those who were trying to derail the Trump presidency. Strzok even admitted in texts that his crew would “stop” Donald Trump.